This chapter focuses on the difference between the diversity of community college students and community college administrators. While many community college students are poor, minority, and female, the vast majority of community college administrators, particularly chief executive officers, are affluent, White, and male. This inequity may have an impact on how administrators relate to students and the policies these administrators enact, resulting in concerns about equity and access to educational opportunities. The history of U.S. community colleges is discussed. A profile of the typical community college student is also presented. 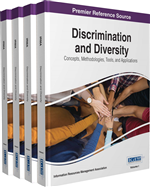 Definitions of leadership are provided, and diversity leadership research is examined. A strategy for increasing diversity at the administrative level in the community college setting is shared. Kotter's (1996) eight-stage model of change management is presented as a means of altering a college's culture to promote greater diversity leadership. The role of technology in increasing diversity is discussed, and directions for further research are shared. The first public, two-year college in the United States, Joliet Junior College, was founded in 1901 in Joliet, Illinois (American Association of Community Colleges, 2014c). Over the past century, more than 1100 community colleges have been founded; they include public, private, and tribal institutions (American Association of Community Colleges, 2014a). For those students who traditionally have been excluded from the university due to a lack of academic preparedness or a lack of sufficient financial assistance, community colleges offered a way to obtain a post-secondary education or technical and vocational training (Barnes & Piland, 2010). Many community colleges have open admissions, lower tuition, and more courses of study, which are attractive for students seeking two-year degrees or certificates (American Association of Community Colleges, 2014c). Once referred to as junior colleges, since the 1970s, the term community colleges has become the preferred designation for two-year vocational, technical, and academic institutions (Dunning, 2008; Robinson-Neal, 2009). This shift highlights the mission and purpose of these IHEs, to provide educational access to all sectors of the communities they serve (Robinson-Neal, 2009).